When you're here, we know what you want, girls. 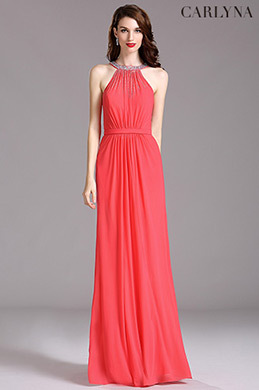 Coral fall dresses on sale are the most inspired, trendy and attractive dresses that you'll fall in love. From short dresses to long, from petite to plus size, every dress is chosen delicately according to latest fashion trend. Worry about the quality? No Need! Dresses here are all designed with the most suitable fabric and exquisite details, such as lace, embroidery, appliques, sequins and also handsewn beads. eDressit.com is your final best choice all the time. Evening dresses, wedding dresses, cocktail dresses and other special occasion dresses that are rich in various styles to meet your request. 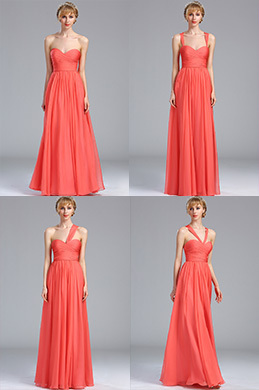 To make it convenient to select, we sorted all Coral 2019 fall dresses on sale together. So, just take the advantage of the competitive price and choose the dress for your events. You're sure to look gorgeous and fashion.